Fall in love all over again with the Moon over Miami Romance Air Tour. 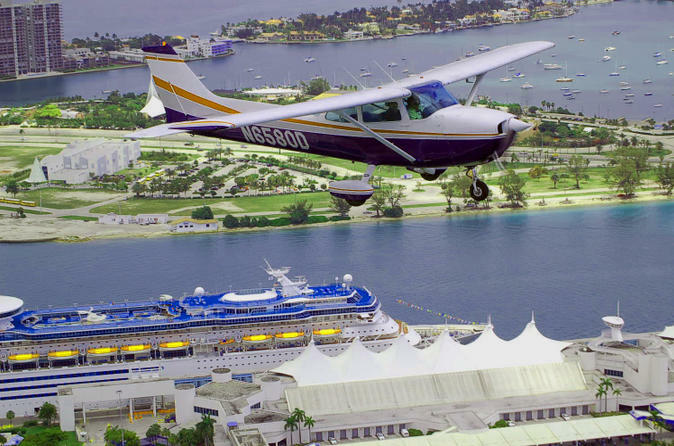 Cuddle up and sip premium champagne as you enjoy Miami's most scenic and intimate air tour. Gliding over Biscayne Bay, Downtown Miami and South Beach from sunset to nightfall, it's the perfect end to a perfect day in Miami. Taking off just prior to sunset, make a toast as the sun sinks behind the Everglades, casting its brilliant red hue on Biscayne Bay. Then, as darkness falls, the lights of Miami come alive, and South Beach and Star Island light up for the night. For newlyweds and couples old and new, the Moon over Miami Romance Tour is the perfect way to celebrate your special union in a way you'll always remember.